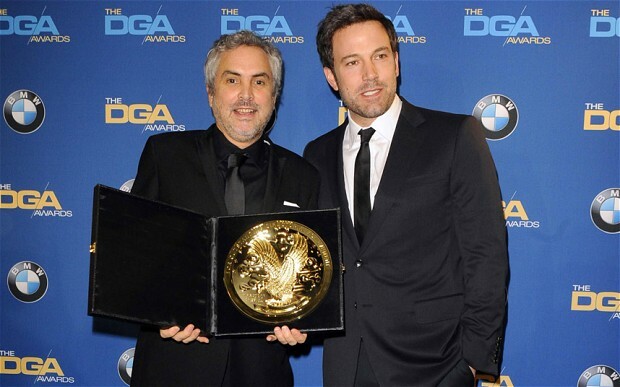 Last night Alfonso Cuaron picked up one of the biggest precursor awards for his space epic. It wasn’t a complete surprise when Cuaron’s name was announced; he previously received a Golden Globe for “Gravity” as well. If we have learned anything from this win it is that “12 Years a Slave’s” front-runner status is in danger. “12 Years a Slave” was the early favorite. People loved “Gravity” when it landed in theaters, but people still said “12 Years a Slave” was the film to beat. When December came around and critic’s awards were being announced you often heard one of the two films being named best picture of 2013 with “Her” and “American Hustle” thrown in intermittently. There is a significant difference between critic’s group support and guild support. Keep in mind the Academy, the Oscar-voters, are industry professionals. Actors make up the bulk of the Academy and then you have filmmakers: producers, editors, cinematographers, etc. Each high-end position has their own guild and each guild gives out their own awards. You have the ASC for cinematographers, the ACE for editors, and more importantly you have the PGA for producers, the DGA for directors, the WGA for writers, and most importantly the SAG for actors. So what happened with the guilds this season? They are one-hundred percent guilty for the all-around snub for “Inside Llewyn Davis.” After not showing up as one of the ten PGA nominations, the film became vulnerable everywhere else which lost it the WGA nomination, and eventually any potential Oscar nominations outside the few technical nods it did receive. This is a prime example of guild influence over the Academy voting body. The PGA tied, which is insane and never happens. Both “Gravity” and “12 Years a Slave” were named best film of 2013 by the producer’s guild. This really shook things up, because it was supposed to be “12 Years a Slave” which would have paved a clear path to Oscar for McQueen’s film. Last year “Zero Dark Thirty” swept the critic’s groups as best film of 2012. Not according to the guilds though, where “Argo” got all the love which eventually lead to the film’s Oscar win for best picture. It was the second time in history that a film won best picture without having its director nominated. The first time was “Driving Miss Daisy” in 1989. Last year the Director’s Guild didn’t announce its nominations till after the Academy had already sent in their ballots. So there was no guild influence in that category which led to two surprise nominations for Haneke and Zeitlin. The Academy doesn’t always copy/paste the five DGA nominations over. This year Alexander Payne got in over Paul Greengrass. But it is still a major precursor that “Gravity” has taken without much of a challenge. The most important guild is probably the Screen Actor’s Guild, which is the only guild to actually broadcast their awards (because, you know, people want to look at actors, not directors or writers.) “Gravity,” had a major disadvantage not having a wide ensemble here. Sandra Bullock got a nomination, but no one in her category can take down Cate Blanchett at this point. SAG doesn’t award the best film of 2013, rather the best ensemble which was obviously “American Hustle” which received Oscar nominations in all four acting categories. This, however, puts “American Hustle” comfortably in the third slot for best picture. Having 10 nominations significantly helps the film. 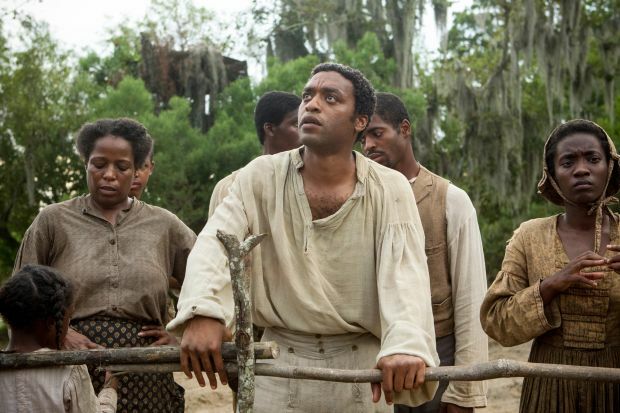 Not winning SAG did, however, hurt “12 Years a Slave” pretty bad. It was interesting though that Lupita Nyong’o beat out Jennifer Lawrence for supporting actress, which can easily happen at the Oscars. Showing that even though the film didn’t have the “best” ensemble, it was still an admired and recognized contender. Now that Alfonso Cuaron has won not only the DGA or the Golden Globe, but almost every critic award for best director. He will win the Oscar for best director. Split wins between Best Picture/Director aren’t rare, but they are uncommon. Some will argue that “Gravity” has a strong edge by potentially taking home the Best Director Oscar. If it’s “Gravity” vs. “12 Years a Slave” and “Gravity” is taking home the director Oscar, it should have the edge over “12 Years a Slave” right? Come Oscar night eve, you will see prognosticators predicting both of the films, almost at a 50/50 level, to win Best Picture, which is awesome. It makes things much more interesting when it’s not as obvious as “The Artist” or “Slumdog Millionaire.” For now I will keep my hat tipped toward “12 Years a Slave.” It has been the favorite since the beginning; it was big for “Gravity” to win PGA, but remember “12 Years a Slave” won too. Both films have the admiration of everyone, but “12 Years a Slave” is more tailored toward the Academy, and this is subjective, but it is also the better movie. Here’s how it will play out. There will be 50/50 predictions between “12 Years a Slave” and “Gravity” for Best Picture, a couple people may predict an “American Hustle” upset, which shouldn’t be counted out. The ceremony will start. They usually announce supporting actors first, Jared Leto will win Supporting Actor for “Dallas Buyers Club” which is nominated, but not in the Best Picture race at all. Then Lupita Nyong’o will win for “12 Years a Slave” which may tell us that the film will win Best Picture. Screenplay categories start. “Gravity” is not nominated here, so that hurts the film significantly. 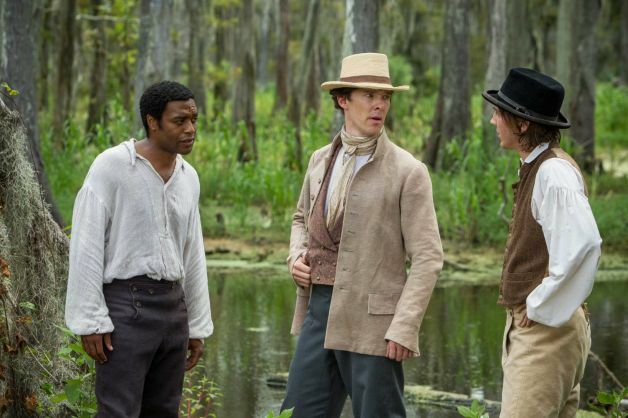 “12 Years a Slave” wins Adapted Screenplay with little to no competition. If it loses this, it will not win Best Picture. Snub that may happen is Bullock over Blanchett, which is highly unlikely, but if it does “Gravity” may be the Best Picture winner. Ejiofor has a challenge to beat McConaughey for Best Actor, but if he does the ball will be back in “12 Years a Slave’s” court for sure. Each film has their weaknesses, but with the inevitable Screenplay victory “12 Years a Slave” really has the edge. 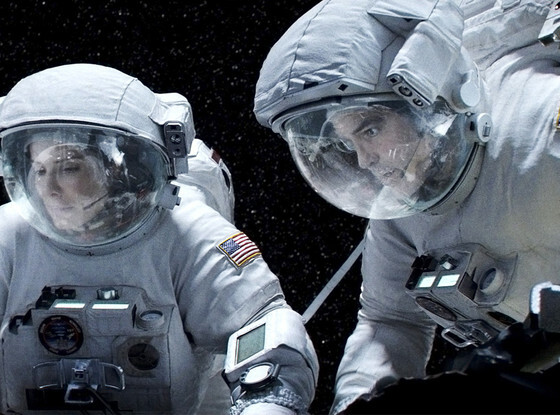 Technical wins and Cuaron’s win will be great for “Gravity” but it won’t be good enough.